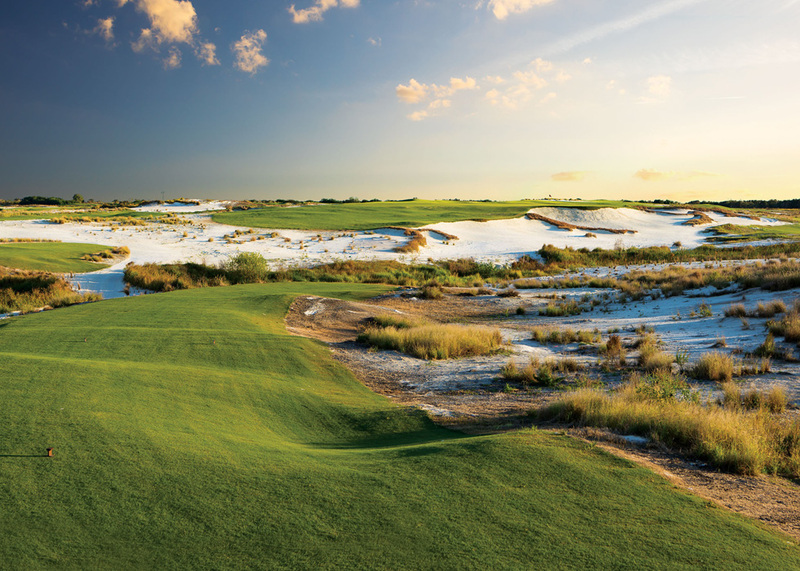 Streamsong has been making serious noise since its inception, so when we got the chance to visit we couldn't refuse. The latest addition to the resort is the breathtaking par-73 Championship Black Course, which is set apart from the Red and Blue, and has its own practice facilities. 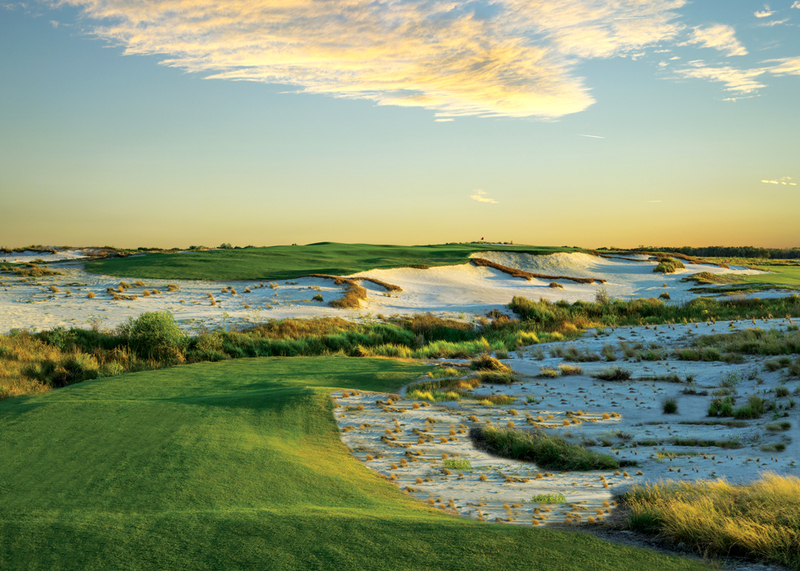 Located approximately 90 miles south of Orlando and close to the town of Lakeland, the Streamsong Resort is situated on a vast and exclusive 16,000-acre site surrounded by nothing but nature. Designed by well renowned architect Gill Hanse and his partner Jim Wagner, the Black Course is much larger in scale than the other two courses, with its own practice facilities including The Gauntlet and the Roundabout. The Roundabout is a fantastic free-flowing practice area also designed by Hanse. This facility has several greens and practice holes for anyone who is looking to sharpen up their game, or even just to get out and play a few holes. The standard of the roundabout is right up there alongside the Black course itself. The Gauntlet is a two-acre putting green that sits right outside the Black clubhouse and is designed to challenge the putting skills of all golfers, as well as giving you a feel for the greens before you head out. You can also complete the full 18-hole putting course after your round with a well deserved drink in hand. Streamsong Black comprises of five par-5s a couple of driveable par-4s (depending on the wind) and a variety of differing par-3s. This course is fun and you will probably hit more fairways and greens than you would normally as the fairways are wide enough to land a jumbo jet, and the greens total 11 acres in size (yes 11 acres). This is when the real fun starts - when we played the greens were running at about 12 on the stimp and three jabs were not uncommon. The course is long and relatively flat in comparison to Blue/Red courses, which can lead to some long rounds especially with the attraction Streamsong is generating now. With some of the widest fairways we have ever seen and the course playing long, you will need to keep out of the sandy wasteland to be in with a chance for your approach, but if the wind gets up like it did when we played, it makes finding the right spot even harder. You can almost see every golfer on the course, as the dunes are smaller than that on the Blue/Red allowing for longer and wider vistas. The views are quite spectacular and you can easily get lost in the beauty that Hanse has brought to the course with the flowing elevation and sand ridges. It is hard to pick a few standout holes as the course is that good, but for me the par-4 ninth is one to remember, featuring an enormous two-tiered punchbowl green that requires a blind approach shot. If you walk off having two-putted you will feel extremely satisfied. Also the Par-5 18th is another fantastic hole, which takes you back into the clubhouse with a lake right in front of the green, that will require two of your Sunday best to get you on the dancefloor and putting for an eagle. Streamsong Black is simply an amazing course that is very different to Red/Blue, but it will leave you wanting more and more and more. The resort offers you the very best, from the lodges to the golf to the staff and caddies (if it is your first trip caddies are a good bet and will use their local knowledge of the tricky greens). 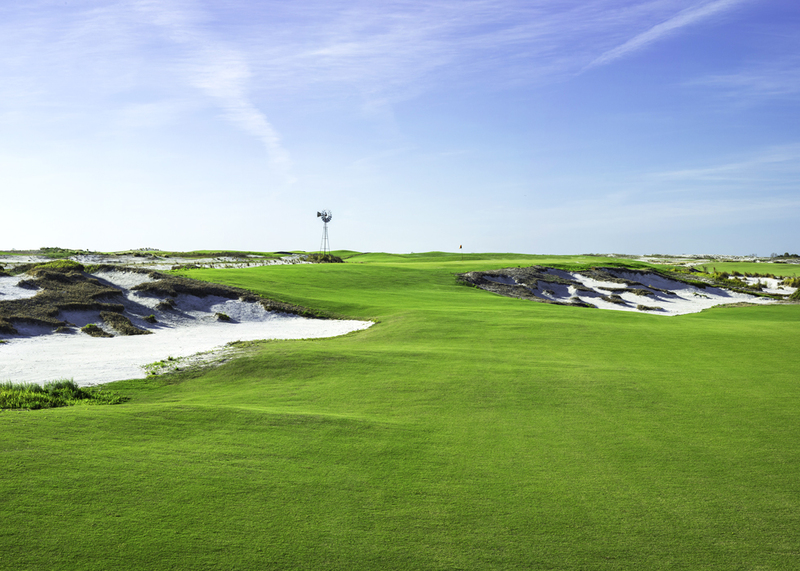 It should definitely be on your golfing bucket list. The resort is now complete with a beautiful 216-room lodge and three stunning courses under the creation of Gill Hanse, Tom Doake and Ben Crenshaw, and for us, we could not point you in the direction of a more incredible golfing experience in the United States, let alone in and around Orlando.